A Cornish dairy-free ice cream brand is launching a £100k crowdfunding campaign. Coconuts Naturally is seeking the investment through the equity crowdfunding platform, Seedrs, to support its expansion into a leading UK supermarket. Launched in 2015, the Redruth-based business achieved more than 100% sales growth every year in its first three years, partly thanks to the exploding customer appetite for vegan products. Along with continuing growth in the vegan sector, Coconuts Naturally believes it is ideally positioned to take advantage of other major growth areas in the UK food industry, including growing demand for organic food. Coconuts Naturally was featured on BBC Dragons’ Den last September, during which Peter Jones described the natural, non-dairy ice cream as “exceptional”. Founder Cecily Mills received two offers, accepting an investment from Jenny Campbell that she ultimately turned down following filming. 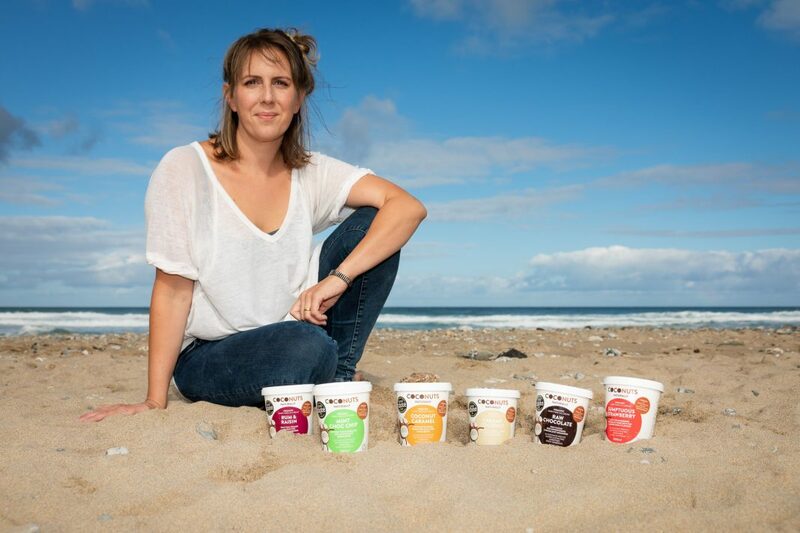 Coconuts Naturally is predicted to sell £150k worth of ice cream by the end of this financial year, which is set to soar to £2.3 million next year (2019/20), thanks to a major UK supermarket launch into more than 600 stores. In order to further strengthen its market position and ensure its product catches the attention of busy shoppers, Coconuts Naturally is completing a company re-brand, relaunching in March as Coconuts Organic. “We pride ourselves in producing the creamiest, best-tasting vegan ice cream on the market and have ambitions to become the leading luxury dairy-free ice cream brand in the UK,” added Mills. “Our rebrand to Coconuts Organic gets us ready for our supermarket scale-up in March and lays a stronger foundation for further expansion in the future. The crowdfunding campaign pre-registration page is now live on Seedrs for potential investors to mark their interest. The campaign will launch to the public from January 28.